For the second time this season, Drummondville Voltigeurs center Joseph Veleno has earned Ultramar Player of the Week honours. 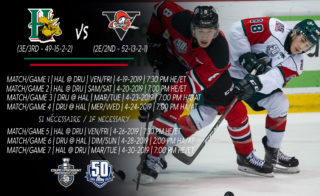 In three games, the Kirkland, Quebec native, who turned 19 on January 13th, scored twice and added five assists for a Voltigeurs squad that has clinched top spot in the Central Division. 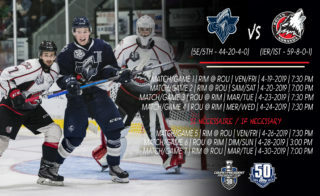 On Thursday night in Rimouski, the Voltigeurs rallied from a 3-0 second period deficit before falling 4-3 to the Oceanic in a shootout. Veleno helped contribute to the comeback effort with a third period assist. He was also named the game’s second star. 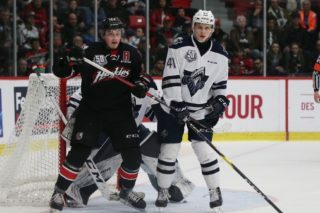 Despite the setback, the Voltigeurs managed to run their latest streak to 11 games with at least a point. 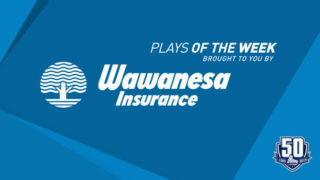 On Saturday afternoon at home, the fourth-year veteran fired home his league leading seventh shorthanded goal of the season, added a pair of assists and was a +4 for the game as the Voltigeurs scored a convincing 8-3 triumph over the Moncton Wildcats. Once again, Veleno was named the second star of the contest. 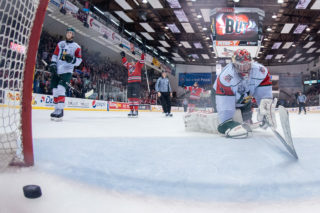 Wrapping up the week at home on Sunday afternoon, Veleno would tally his 40th goal of the season in the first period as the Voltigeurs parlayed a 4-0 lead after 20 minutes into a 6-0 victory over the Chicoutimi Saguenéens. Once again, Veleno added a pair of assists to the scoresheet while also recording +3 rating and finishing 13/22 in the faceoff dot, en route to being named the game’s first star. It’s been an offensively charged month of February for Veleno, who is currently riding an 11-game point streak. This week’s production has helped vault him into a tie for the scoring lead with 96 points in 50 games. A first round selection of the Detroit Red Wings, 30th overall, at the 2018 NHL Entry Draft, Veleno holds down a top five position in numerous offensive categories, including goals, assists, game-winning goals, insurance goals and plus/minus. 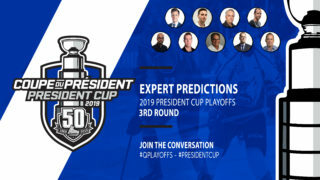 The first overall selection in the 2015 QMJHL Entry Draft by the Saint John Sea Dogs, Veleno added to a stellar 2018-19 campaign by representing Team Canada at the 2019 IIHF World Junior Hockey Championship in Vancouver and Victoria, BC over the holiday season.